I do rather enjoy Reese Witherspoon movies, and I have the utmost respect for Reese's ability to spot a great movie/mini-series from a book. 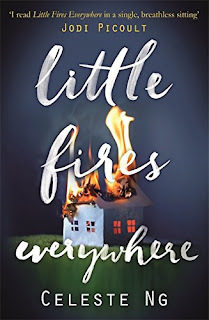 I loved the sound of Little Fires Everywhere anyway, but knowing that it has been handpicked by Reese Witherspoon made it a must read/jump to the top of the TBR book. I have to say that Reese is spot on with this one and can't wait to see it on TV. Shaker Heights is just the perfect place to live...as long as you abide by the rules. For example, trick or treating is between 6pm and 8pm and you have to pass a committee panel before moving there, but other than that, it's just like every town in America: adults have a living to make and kids will be kids, making and learning from mistakes. The Richardsons seem to be the perfect family: Dad is a lawyer, Mum is a journalist and they have 2 boys and 2 girls. On the outside they might appear to conform to the rules but they each harbour secrets underneath. Only Izzy, the youngest and one that doesn't seem to fit in, is true to herself; she has strong opinions, is often misunderstood and knows her own mind. When Mia and her daughter, Pearl, move into one of the Richardson's rental properties, the balance of Shaker Heights is disturbed. Pearl is naturally drawn to the enigmatic Richardson children and they accept her as one of their own. 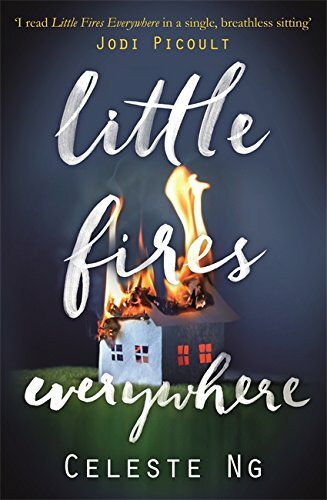 Mia finds a connection with Izzy and when a scandal hits Shaker Heights, Mia and Izzy find themselves on a different side to the rest of the town. All of the excitement is around a young child who was abandoned by her mother and taken in by one of the residents of Shaker Heights. When the mother returns and wants her baby back, the whole town feels affronted. Mrs Richardson is upset that Mia is at the root of all of this upset so she does a bit of digging of her own, never imagining that she might find such golden secrets that Mia has carefully buried. What an absolutely compelling book; it felt as if it was painted in such vivid colour that Mia was a rainbow among the greys of Shaker Heights. 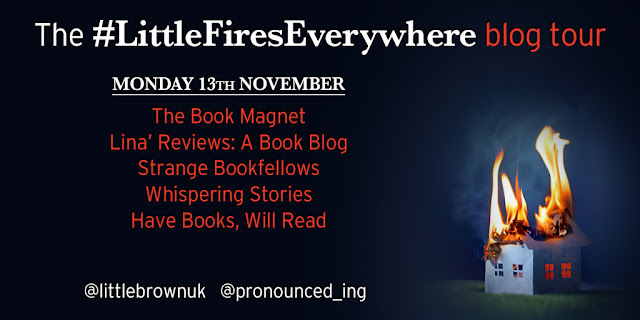 There is a very serious topic among the storyline, that of a mother always wanting the best for her child and really, this is a moving feast so shouldn't be set in stone. Surely, a decision made at one point in time can always be changed as circumstances change? There is definitely lots to think about whilst reading this book: family interaction and family history along with buried secrets. I have to say that I loved the rebellious streak that Mia draws out of Izzy and the reasons surrounding why Izzy is so misunderstood. It really is true that you can be killed with kindness and completely eye-opening that worrying about a person can present itself in such a negative way. Little Fires Everywhere is such an addictive book that I can't wait to see this on TV; it is a vivid portrait of a mother's love and how it can shape, define and harm you. If you're reading this Mam, omit the harm bit 😉.